Arm-less sofa beds are a reality. People needs more compact designs maximizing the seating and sleeping spaces preferring simple clean designs with a flexibility and practical use. This modern arm less sofa bed has a generous unique seat cushion and is defined by a long thick back cushion which is part of the structure and used to convert the sofa into bed. By pulling the back from one side the sofa reveal a queen size bed ready to sleep in. This modern sofa bed features has different optional choices: if you prefer to have armrests you can choose two armrests made of a metal bar where a square pillow is attached. Those armrests are removable then you can use them at your own choice. If you like a more softer look the back can also be available with two large rectangular cushions. The cover is completely removable for dry cleaning and you can choose between a large number of modern fabric textures and colors, leather, microfiber and mixed material. Above: two versions for this modern sofa bed, a thick back with no cushions or a softer one including two rectangular back cushions. Create your own modern composition by adding throw in pillows to this sofa bed. A different sofa bed version including one armrests . The armrest is made of a metal bar holding a pillow, a very interesting detail. Non conventional modern design. The unique whole seat cushion maximize the seating space. 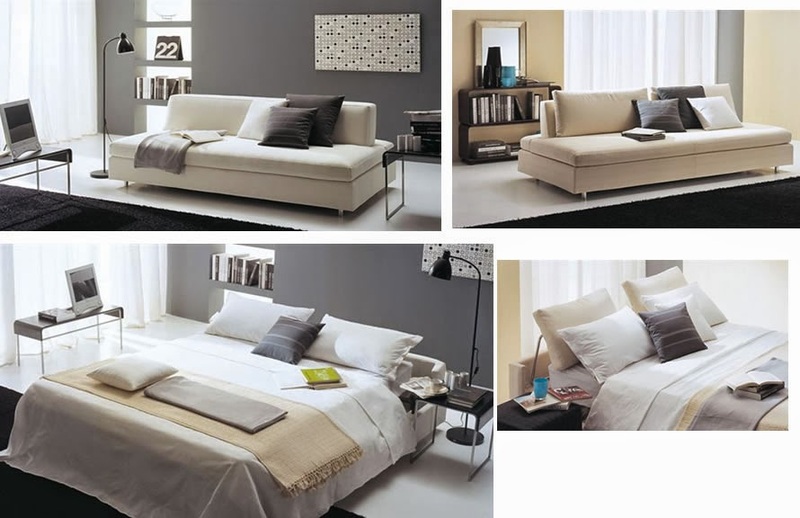 Simple effective modern design sofa beds. To get more information about our modern sofa beds visit our website at www.momentoitalia.com your virtual boutique for modern sofas, sectionals, sofa beds, armchairs and much more.